The grim prospect of stumbling across frozen, frostbitten remains has become an all too frequent reality for alpinists, mountaineers and hikers alike in recent months, with multiple discoveries reported across Switzerland and France so far in 2017. 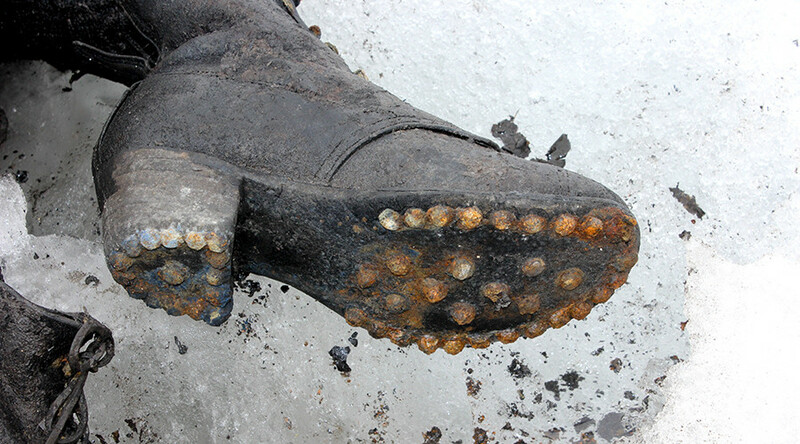 A hand and two shoes were discovered protruding from the Hohlaub glacier in the Saas Valley in Switzerland by two climbers on July 25. After two hours of excavation the following day, the frozen corpse of a man who had been missing for the past 30 years was finally uncovered. The remains were taken to Bern where a DNA analysis identified the remains as belonging to a German citizen who went missing in 1987 according to a local Swiss police report. The dismembered remains of at least two people believed to have died in an Air India crash in the French Alps 50 years ago have also just been discovered on Mount Blanc, The Sunday Times reports. “These remains are probably not from the same person. They are probably from passengers, but between the two aircraft, it’s difficult to say,” Stéphane Bozon from the local gendarmerie said, as cited by the AFP. In July, the mummified corpses of a Swiss couple were discovered in the Tsanfleuron glacier. Marcelin and Francine Dumoulin were originally reported missing in 1942. Switzerland's glaciers have experienced a rout recently, retreating by one cubic km of ice, or 900 billion liters of water, in the past year alone, Tagesanzieger reports. "Swiss glaciers can no longer be saved,” glaciologist Matthias Huss from the ETH Zurich and the University of Freiburg said, as cited by Tagesanzieger. "A slowing of global warming is too late for the Swiss glaciers," he added. Huss estimates that the total area of glacial coverage in Switzerland has shrunk by half since 1850, from 1,735 sq km (669 sq miles) to 890 sq km (343 sq miles). Even with the best-case scenario for efforts to reduce CO2 emissions, roughly 80 to 90 percent of the ice mass in Switzerland is expected to disappear by 2100, according to the report by Tagesanzieger. The report showed that eight of the 10 worst years for glacial retreat on record have taken place since 2008, with no signs of a dramatic turnaround in the near future. "I hope that we can at least receive the highest-lying glaciers in the Alps at least in fragments," Samuel Nussbaumer of the World Glacier Monitoring Service of the University of Zurich told Tagesanzieger.